As I have been working the nutrition field for over 6 years, my thoughts on nutrition have changed. No longer do I believe in artificial sweeteners (for the most part) or fat-free cheese- yuck! Instead, I focus on eating real food that is full of nutrients. I do not diet, ever. 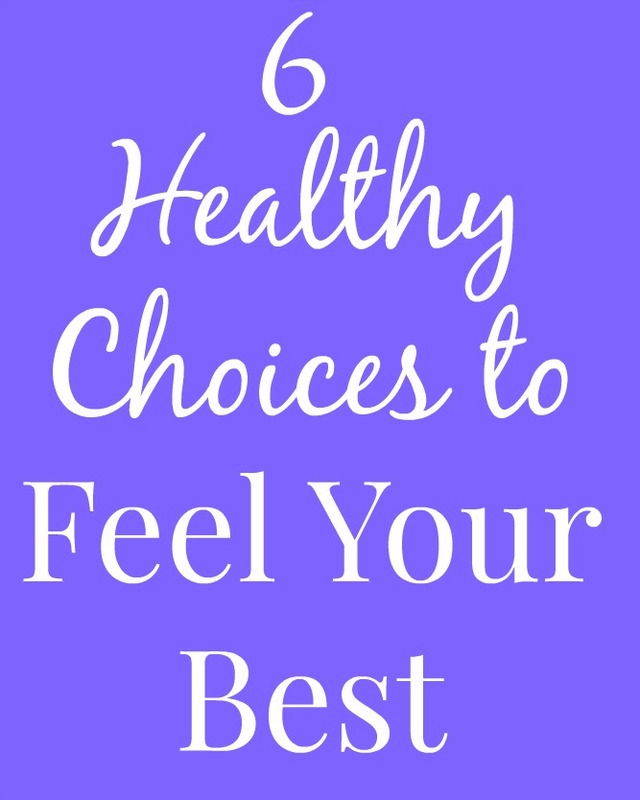 I choose to eat healthy most of the time to feel my best because feeling good is number one to me. When you cut calories below a certain number, you will not have energy and will feel terrible. Trust me, I've been there. I feel my best when I eat lots of fruits and vegetables and have some treats like pizza, homemade dessert and a glass of wine too. I was talking to my husband recently over lunch about how I want to share little tips that I do in order to live a healthy lifestyle. I have some easy tips that are not diet-y or gimmicky that help me to feel good on a daily basis and I am going to share them with all of you. When I wake up, I am always very thirsty. I keep a bottle of water next to my bedside and as I walk downstairs, I drink as much water as I can. This helps me to rehydrate and feel my best. Dehydration can make you feel more tired, lethargic and can cause you to overeat since you may think you're hungry but are really thirsty. I do not take a lot of supplements but do believe in taking a daily multivitamin and omega 3 fatty acids or fish oil. You never know what nutrients you are missing because if you are like me, what you eat varies greatly on a daily basis. Therefore, I feel good knowing that I am meeting my nutrient needs to feel my best. I like the Sundown Naturals® Fish Oil Gummies from Walmart. I love that Walmart has vitamins for the entire family, not just me. I like the gummy vitamins because they are fun instead of your typical pill. They are gluten, dairy and artificial flavor free◊. They are supply omega-3 fatty acids and vitamin D3 for heart, bone, immune health and more. They come in grape, raspberry and strawberry flavors. To find out which gummies are best for you, take this quiz. Enter the Goodness Giveaway Sweepstakes. Head into Walmart and purchase at least 1 Sundown Naturals® vitamin product to win weekly prize packages and a grand prize. Every week, one winner will be selected to choose from 1 of 4 prize packs – Yogi Pack, Fitness Pack, Foodie Pack, or a $100 Walmart Gift Card. Upload a picture of your receipt here and you will be entered for a chance to win prizes now through 11/1. I love having oatmeal with chia seeds, ground flax, peanut powder and a scoop of nut butter each morning at work for a healthy start to the day. This fills me up for a few hours and makes me feel energized. Other breakfasts that I enjoy are Greek yogurt, eggs with vegetables or breakfast tacos. On the weekend, my husband is the breakfast master in our house and I love it! Trust me, I love my coffee just like everyone else but try to stick to one cup per day. When you have too much caffeine, you will crash later in the day. When I go out to breakfast with family and have a few cups of coffee, I get so tired a few hours later. Sticking to a certain amount of caffeine each day will help you to feel your best. When we have leftovers from a restaurant to eat, I will chop up a couple of cups of kale or spinach to add to my meal to make it a little lighter and more nutritious. I do eat whatever leftovers we have but feel better about it when it is packed with vitamins and minerals. It also helps to stretch the meal a little further. In the evening, I can get pretty snacky. I am totally okay with having a snack but sometimes, it can get a little out of control. I will make myself a cup of decaf tea and see if I am still hungry after. If I am, I have a snack. Often times, I just was bored or wanted to taste something and the tea does the trick. Great choices include decaf green tea, peppermint tea which helps with digestion or chamomile tea which can help you feel ready for bed.